It's not an anomaly for a black woman to be a self-starter, to excel and to score into the goalposts that are so often shifted against our success. Perhaps when it comes to larger businesses but a lot of women are the sole breadwinners for their families because of the informal trading they drive. Now we often cheer on these women when they announce a new or groundbreaking venture - whether it be a podcast, a second novel, another business or even their own gin (within a male-dominated-space). 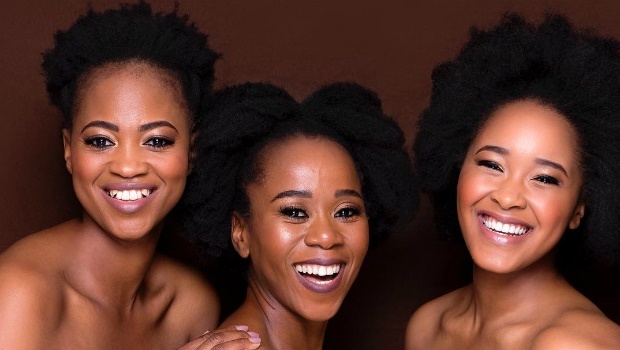 This is why after so many rave reviews about a local hair and body brand Nativechild, which has been an integral part of many women's natural hair journeys for years now, we had to speak to its founder and CEO, Sonto Pooe. Sonto's entry into the hair and beauty industry was more than just about financial prosperity, but more importantly, it was born out of a global cosmetic crisis we're all familiar with as black women - not being adequately catered for by cosmetics brands. Whether it be scant foundation shades that do not go a shade darker than your morning cappuccino or brands not factoring in the real texture of 4C hair. Sonto took it upon herself to do something about the latter and has been going strong for eight years. Apparently being mocked and teased about your hair as a child inspired you to eventually create your own hair care products. Do you think without that ammunition, something else further along the line might have inspired you to create your own products? I think so. I feel like your dreams will always find you. People can be used by the universe or God to be triggers but what is meant for you will find you. Whether or not you have the courage to act on it, that's another story altogether. So yes, I do believe I would have been inspired to do it. In fact, when I think back, the call kept coming and I would ignore ignore or just allow negativity and self doubt to creep in. But the voice inside kept getting louder and louder until I couldn’t ignore it anymore. What were your biggest priorities and concerns during the developmental stages of Nativechild? My biggest priorities or things I fussed about over and over were three. The name, product efficacy and affordability. The name, because the name needed to speak to me. This was created out of love and I wanted a name that evokes a feeling of pride and love for my heritage. It took a while, but I’m glad it worked out. In terms of efficacy, of course you can’t please everyone and people’s needs are so diverse that I wanted to make sure that the products do what they are intended to do. And then lastly, products created for the masses are generally not the best in terms of quality. So my dream was to create a good quality, affordable range. That means smaller margins for us but over time we would still make it because I believe you always get what you give. How did the testing and reviewing process pan out before you officially launched? There are two types of testing: Stability testing and efficacy testing. Stability testing ensures that the product stays stable and performs well under varying conditions including temperature, microbial attacks, etc. Then in terms of whether products do what they promised to do, that took longer because ethnic hair is so tricky and varies so much in texture and needs. But our product range has everything for everyone. What were the greatest challenges you faced as a black woman entering the beauty market? This industry is male dominated and particularly white male dominated. The difficulty was not in race per se, but it was in being taken seriously and my orders taking the same importance and priority as other customers. So I quickly learned not to beg for good customer service but to keep it moving and go to people who held me in equal value. Also, if you shop around you will always find an alternative. That’s from the supplier side. Then convincing retail that we are good as we say we are and often just getting in the door. In all retailers, buyers are the gate keepers. And sometimes you don’t even get to the buyer because you get sent from pillar to post. But thankfully we are given a foot in the door by three major retailers and we can only grow from strength to strength. READ MORE: These women CEOs are dominating the beauty industry - so why aren't there more? A lot of people talk about how daunting it can be to enter an already saturated market – did you experience that at all and how did you overcome it? I don’t think about it. I’m only reminded about it when people ask about the market and saturation. My focus is on building our brand and serving an increasing demand of customers who want our products. 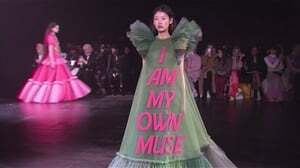 Because I didn’t go in trying to copy that one or trying to recreating something someone else has created, I don’t worry about what someone else is doing. Nativechild was created out of a need and we are doing a good job (I hope) at serving those needs. Nativechild has been on the market for about eight years now – what new innovations have been introduced over the years? Phytospa has been around for 8 years but Nativechild has only been around since mid 2015. We’ve grown every year and have added products to our range every year and recently launched our kiddies range. When did you decide to go online? We started off selling online before going into brick and mortar retailers. Nativechild launched online in 2015. As a child who had a difficult hair journey, how did you ensure that Nativechild products are also child-friendly? Child-friendly products have always been something I’ve been passionate about. I’m one who’s had health challenges as a child myself, so creating a range that is plant based, animal-cruelty free, harsh-chemical free has been on top of the agenda. It’s difficult because the purer the product, the more expensive it is. Your products are quite affordable – has that made longevity in this highly competitive market against the likes of international brands more likely? I think so. Not everyone in SA can afford to buy a body product for R300. So for those who want nature's goodness without breaking the bank, they have us. There is something for everyone. Interestingly enough, even those who can afford to spend more, are also coming to us because why would you pay more when you don’t need to? Price is tricky because you have to stay profitable but that’s part of being an entrepreneur figuring it out. More and more women are now launching their own brands and starting businesses – what advice would you share on surviving in the game? Do you. Don’t be distracted. Run your own race. There hundreds of different variations of sweets, clothes, cars, music, etc there is room for everyone. The more you be you, the more you’ll stand out. And then of course, surround yourself with strong supportive people. No man is an island. Lastly, cherish every step of your journey. The world needs you and your talent. Anything done in love is done well.